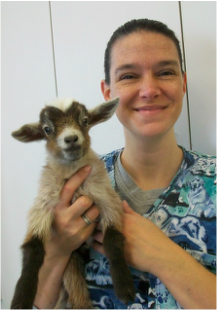 Rebecca Blevins is a LVT, a licensed veterinary technician, with over a decade and a half of experience. She graduated from Wilson College in 1995 with an Associate degree in Veterinary Medical Technology. Becca has a special interest in exotics and has many years of experience working with Dr. Kubala in the exotic field. Becca enjoys baking and spending time with her family. Becca and her husband Dave have two daughters and live in Gettysburg with two dogs and four cats. ​Becca is a Fear Free certified professional. Kelsey Miller is a CVT, a Certified Veterinary Technician, with over 5 years of experience. She graduated from Vet Tech Institute of Pittsburgh in 2011 with an associate degree in Veterinary Medical Technology. Kelsey has Corgis named Teagan and Milly, a black long-haired cat named Purdy, and guinea pigs named Dexter and Dano. She enjoys traveling and spending her spare time outdoors camping and hiking with her dogs and her fiancé, Ryan. Kelsey is a Fear Free certified professional. Megan has over a decade and a half of experience as a veterinary technician in both emergency and primary care, and she has known Dr. Holland for many years. She feels very lucky to be able to work with and help animals every day. Megan's special interests are in feline medicine and behavior. She used to show and breed Siamese cats. Originally from Baltimore, Maryland, she now lives in Littlestown with her daughters and their cats. In her free time, Megan enjoys spending time with her daughters and gardening. ​Megan is a Fear Free certified professional. Kelly has lived locally her entire life. She graduated from Wilson College in 2016 with a bachelor's degree in veterinary medical technology. Kelly has 3 cats, 2 dogs, and 5 guppies. She also works at a horseback riding facility that does tours through Gettysburg. In her free time, Kelly enjoys reading and traveling to new places. ​Kelly is a Fear Free certified professional. Emily started interning at our hospital in July of 2017 and later got hired as our newest tech! She graduated in November from YTI - York with an associate's degree. Previously, Emily has worked at a kennel as a kennel assistant and helped with grooming when needed. She resides in Hanover with her boyfriend and 3 mischievous cats. In her free time, she enjoys seeing her friends/family and doing outdoor activities. ​Emily is pursuing a Fear Free professional certification. Jennifer Heefner has been interested in animals since she was a child and has been in the Veterinary field since 1997. She graduated from the Carroll Community College Veterinary Assistant Program in 2002. She enjoys being able to educate clients about how to keep their pets happy and healthy. Her special interests are in pediatric care and animal behavior. Originally from Manchester, Maryland, she now lives in Hanover with her partner, 3 dogs, and 6 cats. She enjoys kayaking, fishing, hiking and spending time with her family and animals. Jen is a Fear Free certified professional. as a veterinary technician, but her love of animals dates back to her earliest memories. Although Amanda has gained experience in emergency and surgical medicine, her heart is truly fulfilled by the lasting relationships (with animals and pet parents alike) that she earns by practicing primary care. 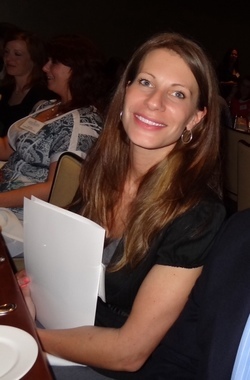 Amanda has a particular interest in behavior, especially working with cases of abuse and neglect. She feels the ultimate sense of accomplishment comes with introducing kindness and making a difference in the lives of animals and people. Amanda is a graduate of Mount Saint Mary’s University with a BA in English and a minor in creative writing. She keeps herself busy raising her 4 children with her husband, Nick. She has 3 dogs, a bird, lizards, a tortoise, frogs and fish as well as an extended family of horses and a cat. Amanda enjoys the outdoors, reading and writing. ​Amanda is a Fear Free certified professional. Kasia is a RVT and graduated from Wilson College in 2008. Kasia is a native of Poland where she earned a Masters degree in Soil Science. Kasia came to the USA to gain experience working with horses, and she spent 3 years at the Hanover Shoe Farm. 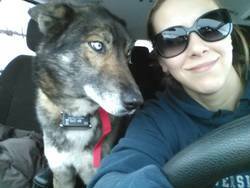 Kasia graduated from Wilson College with a Bachelors degree in Veterinary Technology. She has experience in emergency medicine as well as primary care, and she particularly enjoys dental care. Kasia spends her spare time biking and hiking, and she loves boxers. She and her husband Mike live in Littlestown with their three dogs. ​Kasia is a Fear Free certified professional. Emily began working with animals in her early teen years and has over a decade and a half of professional experience in the animal field. She obtained her Bachelors degree in Veterinary Medical Technology from Wilson College in 2004. She has her license as a Veterinary Technician as well as a Chronic Wasting Disease Technician. She enjoys gardening, baking, and relaxing with family and friends. ​Emily is a Fear Free certified professional. 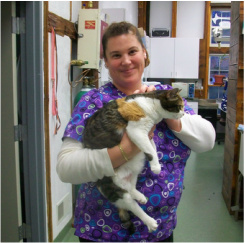 Rebekah Jakum is a weekend CVT, ARDMS/RVT that has worked with Littlestown Veterinary Hospital since 2011. 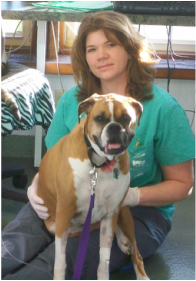 She has been a certified vet tech since 1996 and a licensed ultrasonographer since 2010. She enjoys the showing and companionship of her 2 French Bulldogs, as well as spending time with friends and family, running and exercise. She currently performs mobile veterinary ultrasound throughout Pennsylvania on a full time basis, assisting with Littlestown Veterinary Hospital’s imaging as needed. Rebekah is a Fear Free certified professional. Mike Hayden is a CVT, certified vet tech, licensed in both Pennsylvania and Maryland. He graduated Penn Foster College in 2013 with an Associate degree in Veterinary Technology and has a special interest in feline medicine and laboratory work. Mike has a farm in Barlow, PA and loves taking care of animals both large and small. He also has a BS in Electrical Engineering from the University of Maryland, College Park with hobbies that include electronics, photography, and sailing the Chesapeake Bay. Mike is a Fear Free certified professional.